Another wonderful online series from Silver Birch Press! Get those poems and flash fiction stories in before the deadline on Sept. 30. With apologies to George “My Sweet Lord” Harrison (RIP), Silver Birch Press announces the MY SWEET WORD call for submissions of poetry and flash fiction. 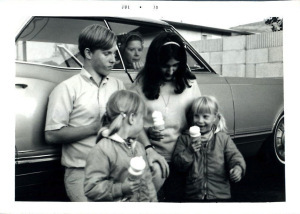 For many of us, some of our most significant memories (pleasant or otherwise) involve sweets and treats — running to catch up with the Good Humor truck, baking cookies during the holidays, trick or treating, visiting the corner candy store, making a trip to Dairy Queen, learning to share our goodies, and so much more. We want to hear all about your sweet (or bittersweet) memories in a poem, prose poem, or flash fiction. Please send a photo of yourself at any age to accompany the writing. My poem “The things I’ve done . . .” (final poem in the series) published by Drunk Monkeys!